Aunt Artic has been promoted to Editor of the Penguin Times. 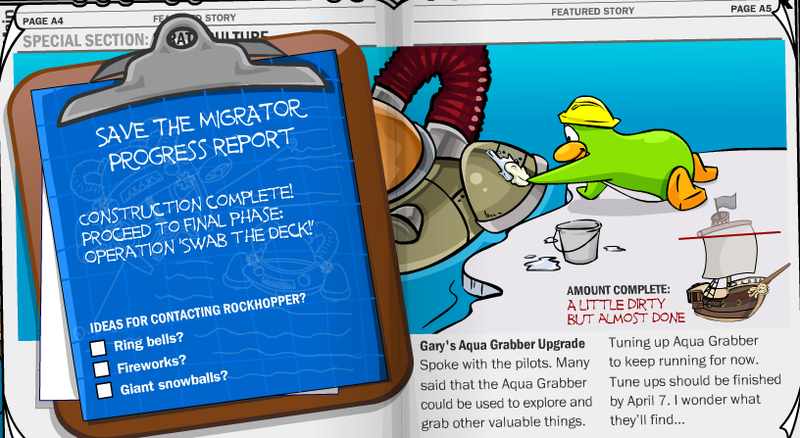 Rockhopper’s journal has been restored to it’s previous state & will be put on board the Migrator on April 11th. There will also be a copy of it available to read in the Book Room. Hopefully it will be updated every time Rockhopper comes as well. There’s a sneak peek of the next play at the Stage too. It looks pretty cool, I can’t wait to see the costumes! 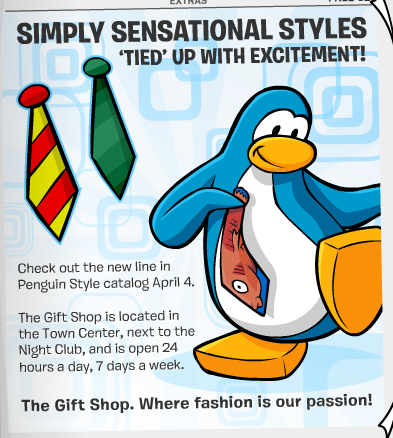 There’s a small article about the Gift Shop, it looks like next month will be featuring ties! 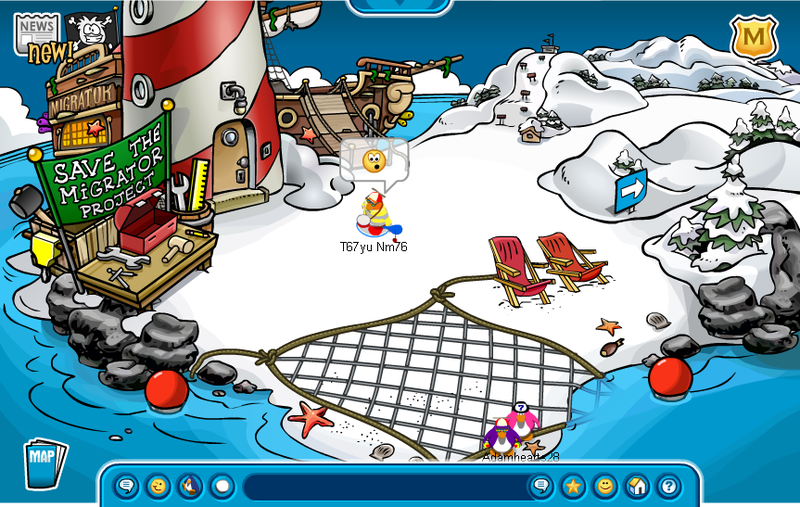 This is a great chance for me to get a black tie & a striped tie, I’ve always wanted them (the day I started there was a big group of penguins wearing ties & they inspired me to collect ties on Club Penguin, but then I found out they were only for members). So I’m really excited about this months catalog, I can finally get more ties for my tie collection. I also like the Mullet one. Hopefully that will help you solve it. 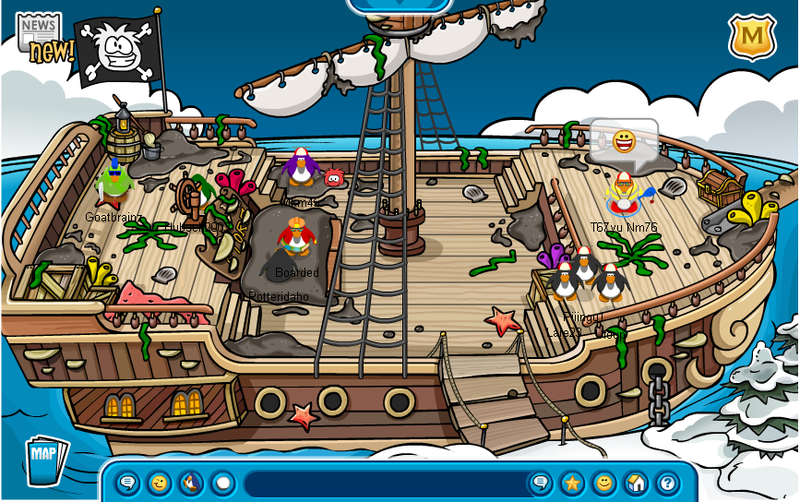 The Migrator has been reconstructed. Now all we need to do it clean it up. You can go on board, but you can’t go below deck, a big pile of mud it blocking the door. 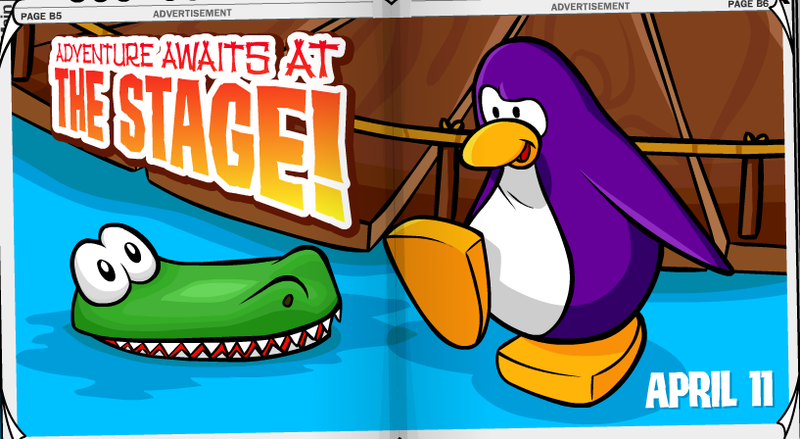 The Book Room update might be the copy of Rockhopper’s journal being added. I wonder what the new room will be. Probably the Captain’s Quarters. That’s all, I think. I’ll keep you updated.